W.G. 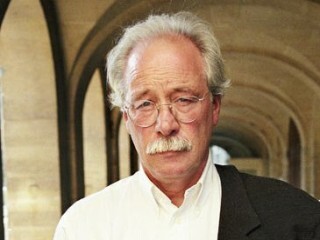 Sebald was a German writer and academic. At the time of his death at the age of 57, he was being cited by many literary critics as one of the greatest living authors and had been tipped as a possible future winner of the Nobel Prize in Literature. German expatriate W.G. Sebald lived nearly all of his adult life in England, where he was a professor at the University of East Anglia from 1970 until his death in 2001. Despite his English residency he continued to write in German and about Germany, becoming known for his commentaries on his country's literature and theater. In 1990 he began a new phase in his career, publishing the novel-sized volume Vertigo, the first of several idiosyncratic works for which Sebald became famous: big books that were not quite novels and not quite memoirs, but combinations of biography, history, travelogue and fiction. These melancholy works, featuring a narrator who was like Sebald (or even named Sebald) but who was not exactly the author himself, were meditations on Germany after World War II, particularly concerned with the Holocaust, and with an emphasis on the many difficulties of human memory. Sebald followed it with The Emigrants (German publication 1992, U.S. 1996), The Rings of Saturn (G. 1995, U.S. 1998) and Austerlitz (G. 2001, U.S. 2001). He was killed in an auto accident in 2001, apparently after suffering a heart attack while driving. Vertigo was not translated into English until 1999... Sebald was also known for the evocative illustrative technique of his later books: dotting the text with photos, old ticket stubs or timetables which had no captions and nothing directly to do with the text. View the full website biography of W.G. Sebald.